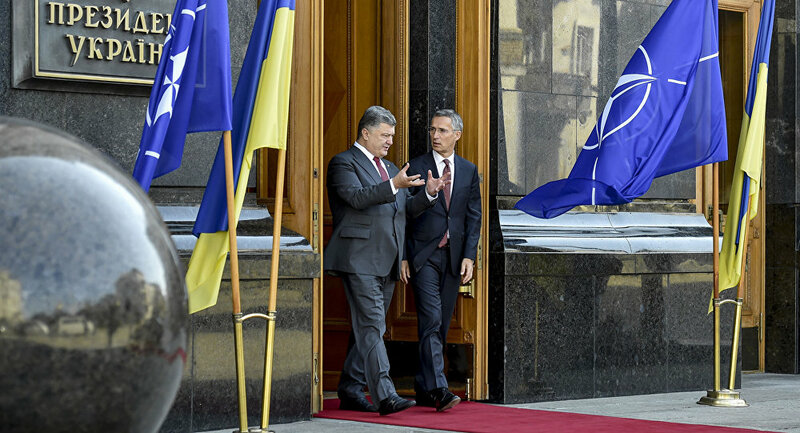 Today, NATO chief Jens Stoltenberg will be in Kiev to celebrate 20 years since Ukraine established formal relations with the alliance. Ukraine has slowly drifted towards the West since becoming independent in 1991. In 2008, Kiev applied for full-fledged NATO membership, sparking a backlash from Russia—which took a dim view on another, much larger NATO neighbour. Although Ukraine halted its application process in 2010, Russian concern over Kiev drifting westward was part of its motivation for annexing Crimea in 2014 and supporting insurgents in Eastern Ukraine, especially after the 2014 ousting of pro-Moscow President Viktor Yanukovych. But Russia’s moves backfired and drove Ukraine closer to the West. In 2014, Ukraine restarted its membership application, and last February President Poroshenko pledged a referendum on NATO admittance, which polls show has majority support. Stoltenberg will discuss the state of Ukraine’s application with parliament chair Andriy Parubiy today. A fruitful meeting could accelerate Ukraine’s admittance process, bringing the former Soviet state deeper into the Western fold. South Sudan was born six years ago, bringing an end to a protracted conflict between Sudan and the Sudan People’s Liberation Movement (SPLM). But instability and poverty have wracked the world’s youngest nation, forcing the government to cancel today’s planned independence day celebrations for the second year running. 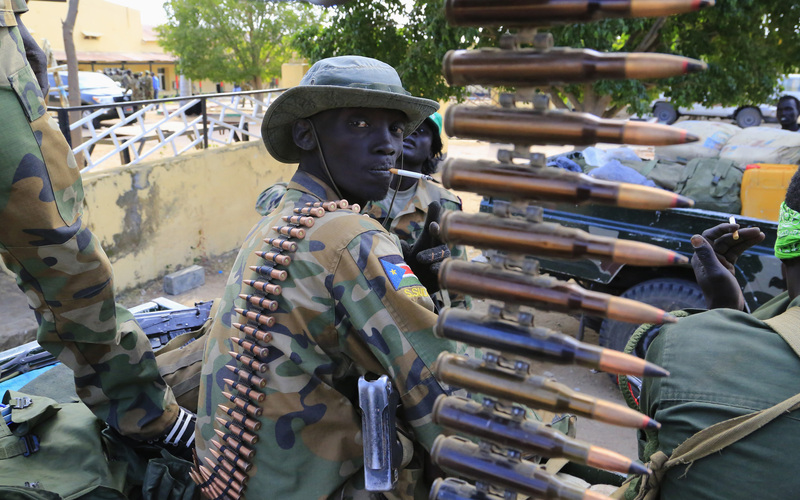 Since 2013, South Sudan has been gripped by civil war between the government and the new SPLM-in-opposition. The conflict has split the country along ethnic lines, with President Mayardit’s Dinka ethnic group pitted against the Nuer. Tens of thousands have been killed in four years of violence and more than a quarter of South Sudan’s 13 million people have been displaced. The country also faces severe economic problems, including an 800% inflation rate and overdependence on oil, sales of which constitute 98% of its budget. While a 2015 peace deal installed Nuer leader Riek Machar as vice president, it has since collapsed, returning the country to violence. Barring an unexpected change, South Sudan won’t celebrate its independence for years. 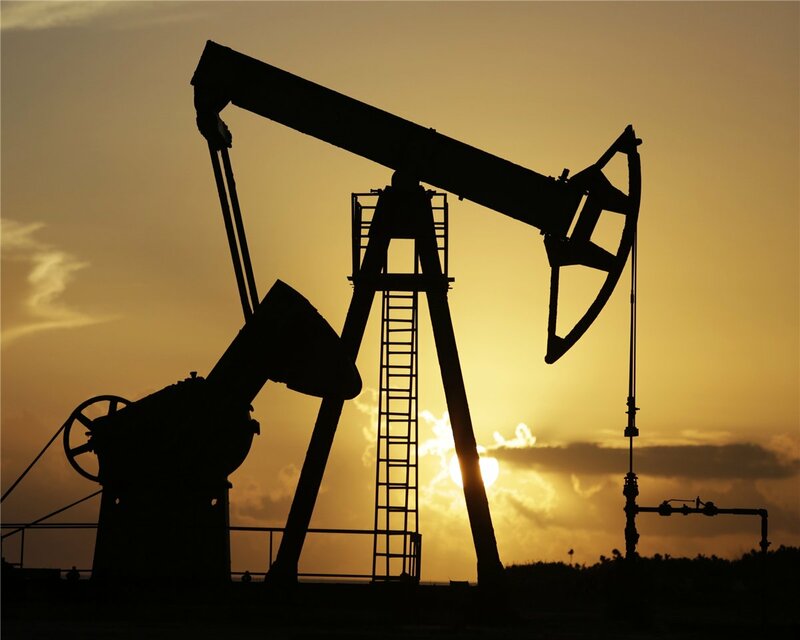 500 top industry executives, 50 energy ministers and 6,000 delegates will converge on Istanbul for the 22nd World Petroleum Congress, which starts today. Referred to as the ‘Olympics’ of the oil industry, delegates will spend five days discussing a changing industry and an increasingly uncertain global environment. Oil prices have slumped almost 60% since reaching highs of more than $100 a barrel three years ago. Today, oil trades between $45 and $60 a barrel, forcing oil firms to cut costs to keep investors satisfied. Over 200 American oil companies have filed for bankruptcy in the last two years, but the firms that have survived are ready to thrive. Oil behemoths BP and ExxonMobil posted record profits in the first quarter of the year. Both are planning multi-billion investments off the coasts of India and Guyana, respectively, indicating confidence in a notoriously volatile market.